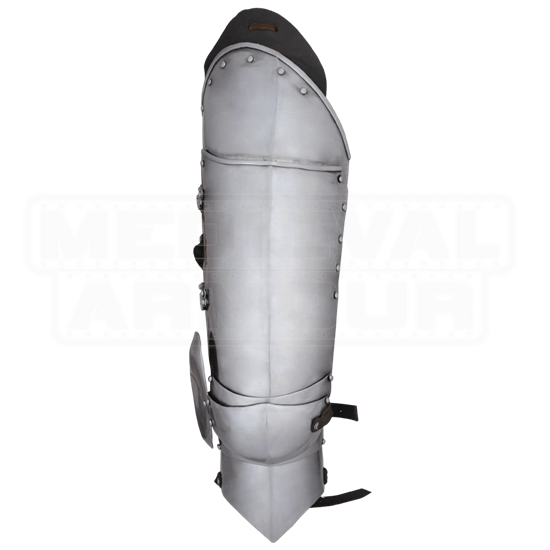 With Upper leg and knee protection with three buckled attachment points and outstanding articulation, these pieces of armour are for use with our AB0065 greaves, and a part of the Milanese Suit of Armour (AB0063). 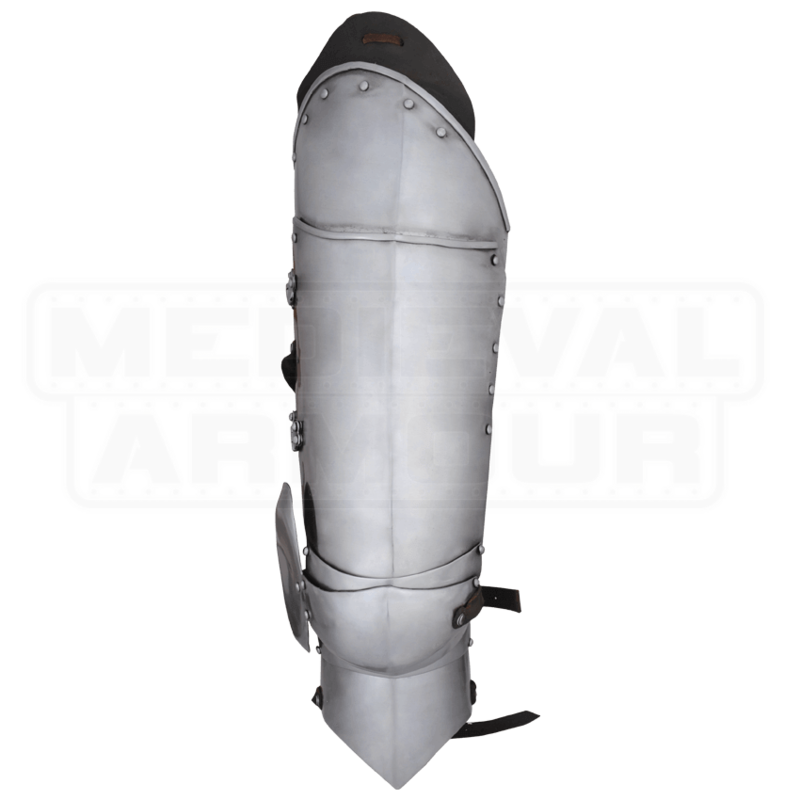 Produced in Italy throughout the 15th century, armour of this type incorporates large and smooth glancing surfaces in its construction, the theory being that these rounded surfaces would help to deflect an opponents weapon. The embossed ridges and fluting that typify armour of the Gothic style are generally absent in Milanese style armour, but that does not change the functionality of this high quality armour.